The kitchen is arguably one of the most used spaces in any household. Having an uncluttered and smart kitchen can make your life much more efficient, healthier and happier. On top of this, having a beautiful benchtop will definitely encourage you to maintain a clean kitchen. During a kitchen renovation, there are a lot of decisions to consider to form the perfect kitchen. One of these is selecting the right benchtop. Apart from the looks and practicality, it is well worth investing in a quality kitchen benchtop that will suit your cooking style and personality. 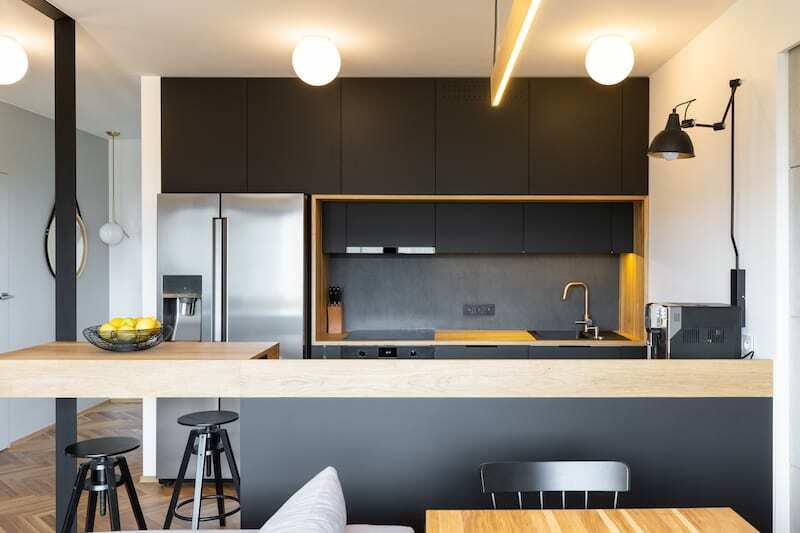 Here are three big factors you must consider when picking out your kitchen benchtop, your budget, the appearance of your benchtop and the practicality of it. It is no mystery that some materials are more expensive to source than others due to scarcity, demand and practicality as we will later find out. You will need to consider your budget when selecting the right tabletop for your kitchen. If your budget is endless then you will have a much wider choice depending on your wants and needs and may pick the top of the range marble. Whereas if you are working on a tight budget during a kitchen renovation, then you will need to be more selective on the type of benchtop you will go for. You will be more likely to lean towards a budget-friendly laminate benchtop. An approximate cost of each type of material will later be discussed. The next thing you will need to think about is the appearance of your kitchen benchtop. There is no point in having a complete modern kitchen and then running out of money to find yourself with a low-quality laminate benchtop in a stylish contemporary kitchen. Which brings us to our next point, aesthetics. One of the biggest influence of a consumer decision is based on the appearance of the product. Normally, when something looks really good and the person has a great interest in it, they will try to do as much as they can to obtain it. Even if that means spending that extra bit of money for it. Despite this, you should definitely consider whether that particular benchtop feature goes well with the overall kitchen. That is, does it compliment your newly renovated kitchen or does it make it look bland? Although we agree that it is difficult to make any kitchen look bad with a million dollar tabletop. There have been instances when a poor quality benchtop has been incorporated in a modern kitchen which completely offsets the overall luxury and sleek look. When picking the right look, ensure that there are already parts of the kitchen that contains the same material as the benchtop such as the kitchen splashback or kitchen island. Consider the colour scheme, lighting, fixtures and theme of your kitchen to achieve that ‘homey’ feel. An important, yet less considered factor when choosing a kitchen benchtop is the practicality that it offers. Sure it may seem like each benchtop serves the same purpose, a location where you can do your meal preparation, cutting and storing. However, each benchtop offers a myriad of different features that others may not be able to offer. Some are more durable than others while some are easier to clean and maintain. These are some things you should consider to lengthen the longevity of your benchtop depending on your use and purpose. We will later discuss more in-depth on the advantages and disadvantages of each material and which will suit your household the most. What is a laminate benchtop? A laminate benchtop is simply layers of plastic laminate that compromises of decorative paper over a wooden panel. The result is a budget-friendly way to achieve the stylish and elegant look of a natural stone or concrete benchtop through its decorative cover. Due to its affordability and impressive practicality and versatility, laminated benchtops are a popular choice in many Australian homes. What are the advantages of a laminate benchtop? What are the disadvantages of a laminate benchtop? How much does a laminate benchtop cost? What is a quartz benchtop? A quartz benchtop, otherwise known as an engineered stone benchtop, is another one of the most popular benchtop choices in Australia. There is a good reason for it too. It is highly practical as it is non-porous, scratch resistant, easy to clean and highly durable against minor impact and heat. It offers similar features and looks very similar to that of a natural stone benchtop but isn’t as expensive. They come in a large range of colour and designs that will suit everyone. You can choose from showing quartz aggregates to butterfly patterns to perfectly blend into your kitchen. 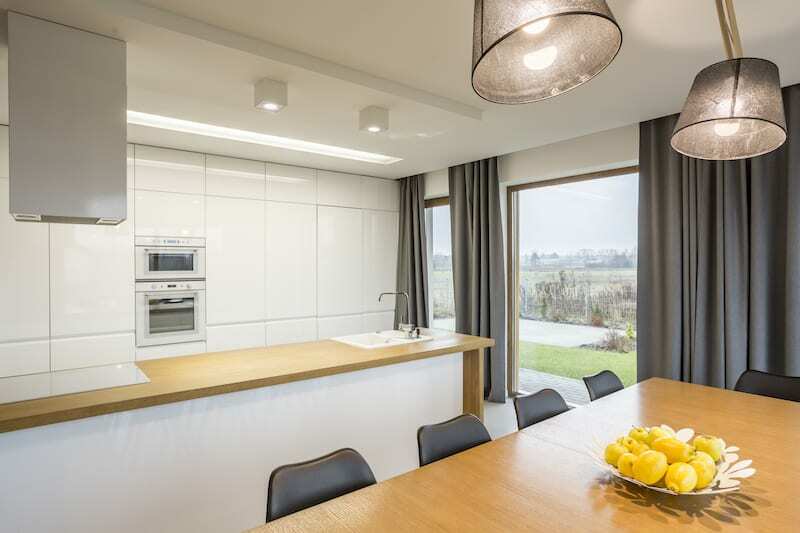 What are the advantages of a quartz benchtop? What are the disadvantages of a quartz benchtop? How much does a quartz benchtop cost? What is a marble benchtop? It is the holy grail of all natural stones. A metamorphic limestone. It embodies the ideas of prestige, beauty and elegance and never fails to add a touch of luxury to any kitchen. A marble benchtop looks spectacular and can easily be recognised from a glance far away. Although it is more expensive than granite countertops, marble benchtops offer uniqueness and warmth to your kitchen. It is the top of the range option that you can choose from with a high price tag attached to it. This is due to its scarcity, demand and grade of the stone. In terms of practicality, it scales very poorly. Marble is delicate and porous which means that any liquid or spills must be cleaned up immediately. Nonetheless, a marble benchtop is somewhat heat resistant and can easily be cleaned despite being dear. What are the advantages of a marble benchtop? What are the disadvantages of a marble benchtop? How much does a marble benchtop cost? What is a granite benchtop? A granite benchtop is another naturally occurring stone that offers beauty and elegance. Because granite is an igneous rock composed of compressed quartz and feldspar, it is more durable and harder than marble. Granite is often very dense in nature which makes it very strong under compression. Therefore, this means that it is more scratch and chip resistant. A granite countertop also offers a marvellous display of aggregate on the surface and comes in a variety of colour and design. 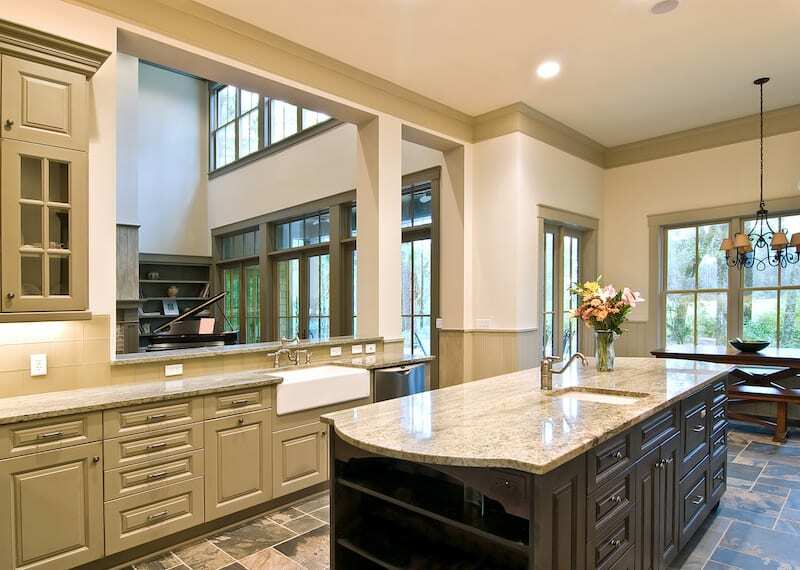 In general, granite is easy to clean and maintain. Sealing the surface will help with its porosity and become more resistant to scratches, heat, impacts and will stand against the test of time. Granite in our opinion is one of the best benchtops you can purchase on the market due to its versatility in being highly resistant when sealed. What are the advantages of a granite benchtop? What are the disadvantages of a granite benchtop? How much does a granite benchtop cost? What is a synthetic solid surface benchtop? 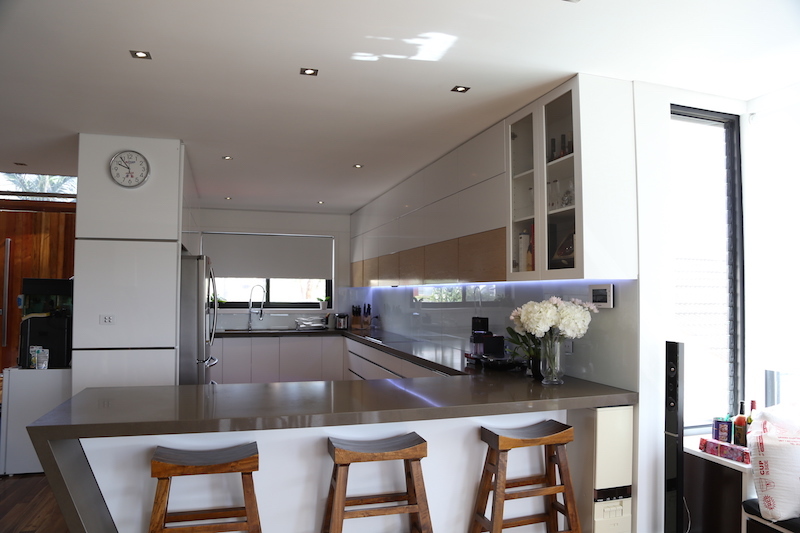 A synthetic solid surface benchtop is also known as an acrylic benchtop and is very common in Australia with the most popular brand being Corian. Solid surfaces can stand up very well to everyday uses and is one of the main reasons for its popularity. They are also quite easy to clean and is non-porous, meaning low in maintenance. Synthetic solid surfaces are available in a large variety of colour and pattern to allow you to blend the benchtop to your overall kitchen design theme. Solid surfaces are a great addition to any outdoor entertainment area and ideal as an outdoor kitchen benchtops because of two reasons; waterproof and ultraviolet (UV) resistant. However, being plastic, they tend to scratch easily and more prone to excessive heat damages such as a hot pot or pan being left on the surface for too long. What are the advantages of a synthetic solid surface benchtop? What are the disadvantages of a synthetic solid surface benchtop? 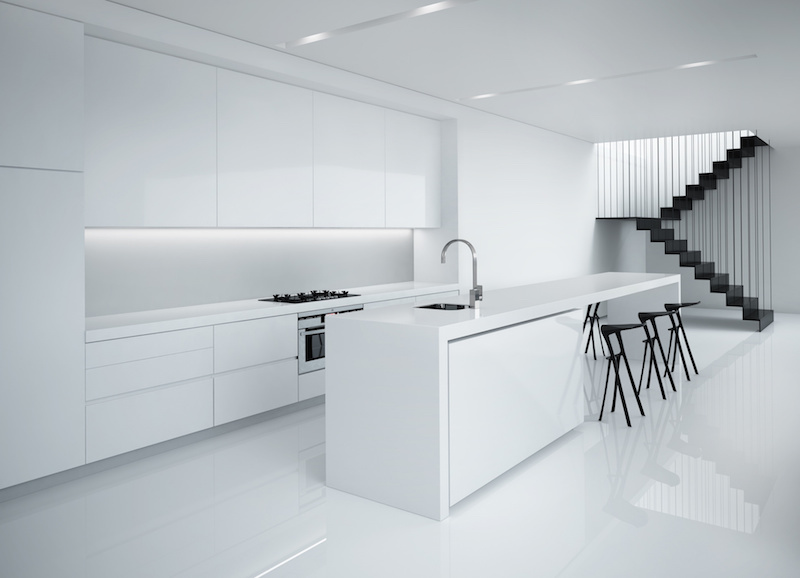 How much does a synthetic solid surface benchtop cost? 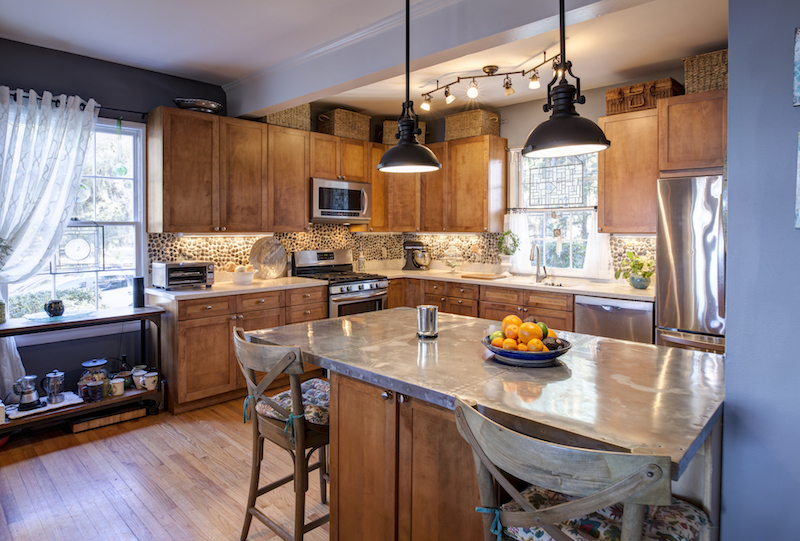 What is a stainless steel benchtop? Stainless steel benchtops are a more popular choice in commercial cooking space due to its overall versatility and durability. They are normally made up of thin sheets of stainless steel that has been bent and shaped to produce a crevice-free, non-porous surface that is both stylish and unique. Stainless steel tabletops are desirable due to their ability to withstand staining, ease of cleaning, chemical resistant and durability to last under daily use. However, this is not to say that they will not occasionally dent, warp and scratch from abrasions. Including it into your residential kitchen can add an industrious look that is both modern and sleek when first installed. Stainless steel cleaners will be required to maintain a sleek look and get rid of any annoying fingerprint marks that are often left behind. 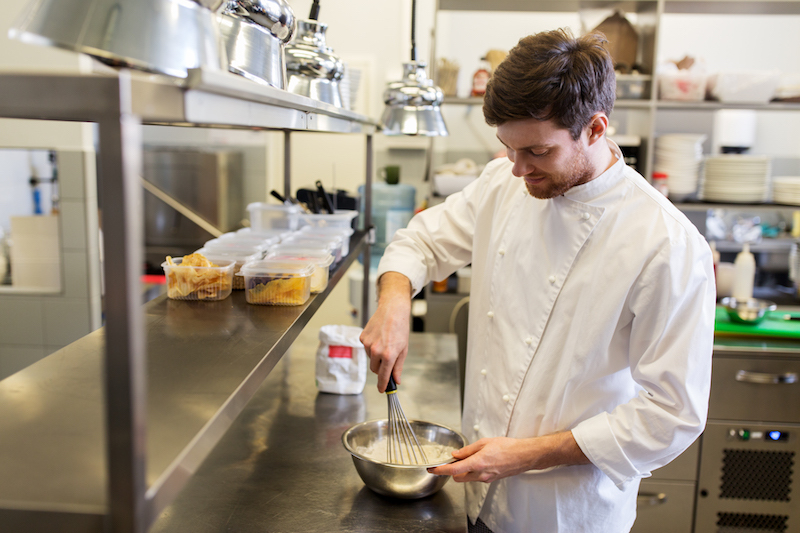 What are the advantages of a stainless steel benchtop? 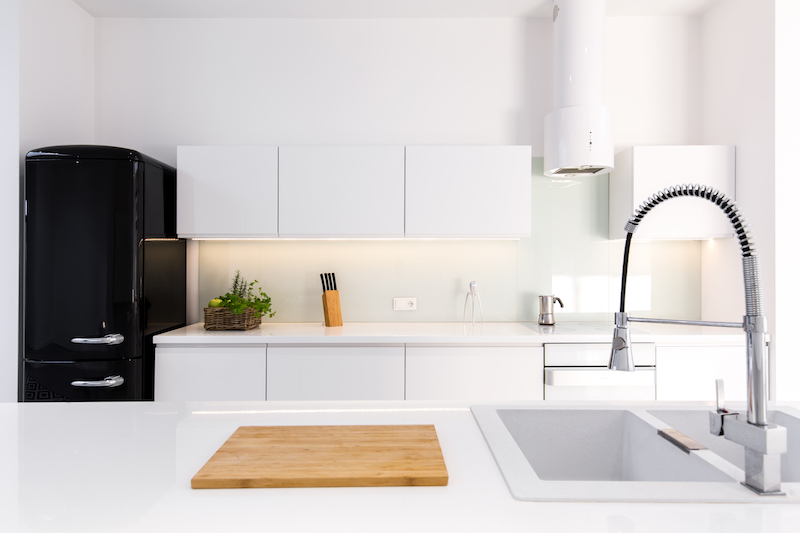 What are the disadvantages of a stainless steel benchtop? How much does a stainless steel benchtop cost? What is a polished concrete benchtop? Apart from the beautiful appearance that polished concrete benchtops offer, they are able to withstand rough day to day uses for many years. They are perfect for any home that is aiming to achieve an industrial theme look. The amount of aggregate and sand will have an impact on your end result concrete colour. You have the choice of having the concrete benchtop plain or have the aggregate showing on the surface. Much like marble and granite, concrete is porous and will a sealing in order to be highly effective against staining, heat and other damages to the surface. Labour for polished concrete can often be more expensive than that of natural stones such as marble or granite. They must be placed by a professional or they will be damaged and cracked during installation. What are the advantages of a polished concrete benchtop? What are the disadvantages of a polished concrete benchtop? How much does a polished concrete benchtop cost? Porcelain benchtops are a relatively new option in the world of kitchen countertops. It does not need to be sealed in order to be durable. They are becoming increasingly common due to this reason. 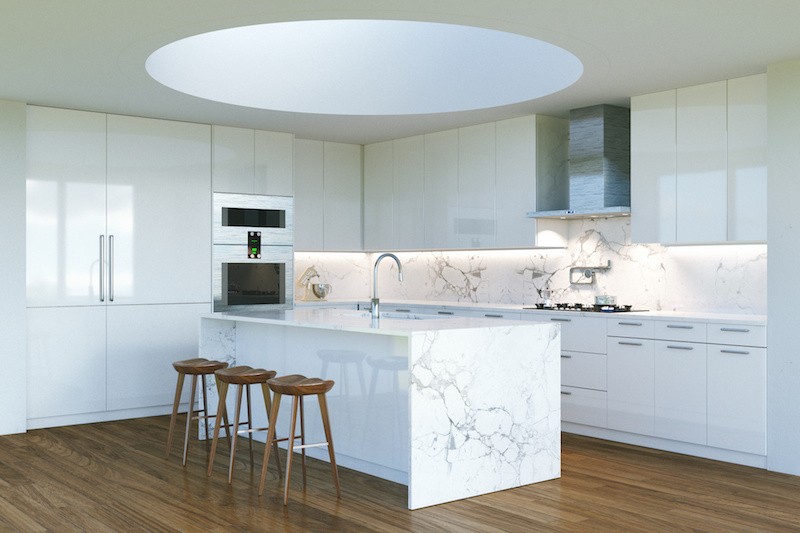 Two of the most popular brands for porcelain benchtops in Australia are Dekton and Neolith. Porcelain table tops offer stain, scratch and heat resistant and are non-porous. It is also very easy to clean which provides it with the ability to be a hygienic option as a surface material without the need to be constantly resealed and maintained. In addition to this, porcelain is resistant against UV which makes it perfect for both indoor and outdoor uses. A big setback that porcelain has is that it is quite brittle which makes it easy for chips, cracks and is not easy to repair if it is not taken care of properly. On top of this, it is heavy and difficult to install. Any blunders during the installation process can be an expensive mistake! 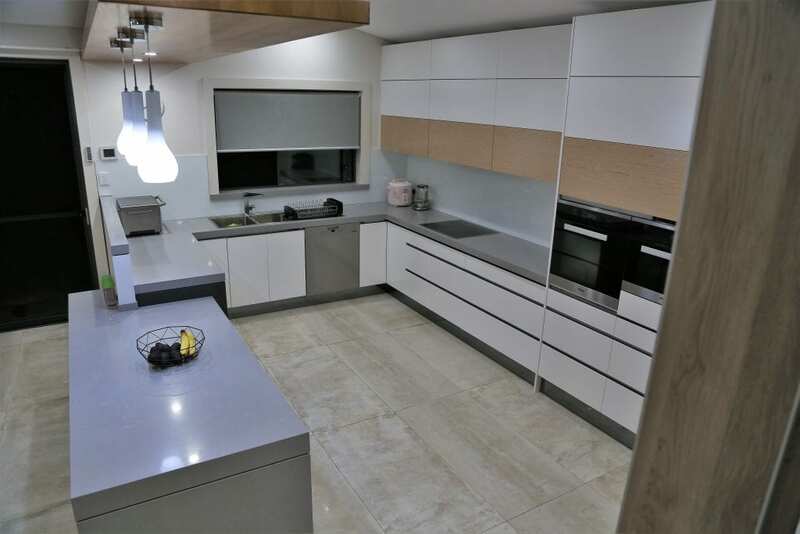 What are the advantages of a porcelain benchtop? What are the disadvantages of a porcelain benchtop? How much does a porcelain benchtop cost? What is a timber benchtop? In Australia, timber benchtops are still a very popular choice in households. They add a fantastic touch of warmth and natural feeling to the kitchen. Timber countertops can come in a wide range of timber such as Spotted Gum, Jarrah, Tasmanian Oak and Brushbox. Furthermore, they can be an environmentally-friendly option. They will need to be sealed in order to withstand against rough heat exposure, scratching and staining. 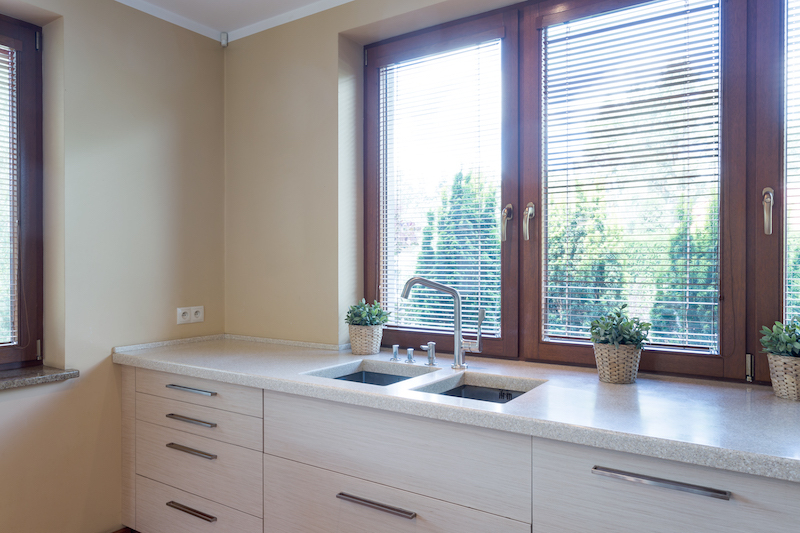 Timber benchtops are quite easy to clean from liquid spills depending on the type of wood. Damages to the surface can be sanded back and repolished to be as good as new. The price range for timber countertops will depend on the quality and rarity of the timber. What are the advantages of a timber benchtop? What are the disadvantages of a timber benchtop? What is a Caesarstone benchtop? A Caesarstone benchtop is made up of mainly quartz and is an engineered stone. In addition to quartz, Caesarstone also contains residuals of polymer resins and additives evident for the colouring. They are highly durable, non-porous and does not need any sealing which makes it ideal for kitchens or bathrooms. In terms of practicality, Caesarstone benchtop is all over it as it is also resistant to staining and can handle scratching. Caesarstone benchtops are however, not resistant to heat and prone to chipping and can leave a mark if you’re not careful. They are also heavier than granite so make sure that your benchtop frame can support the weight of it. Nonetheless, Caesarstone benchtop is beautiful in any kitchen and is easy to look after. What are the advantages of a Caesarstone benchtop? What are the disadvantages of a Caesarstone benchtop? How much does a Caesarstone benchtop cost? No matter what type of benchtop material you are looking for, Kitchen & Stone can help you choose the right one for you. We are here to provide you with professional advice that will help make your choice easier. Investing in a kitchen benchtop requires planning and a lot of thought as it is the centrepiece of your kitchen. We are available to service all of Sydney suburbs. Don’t be afraid to ask the professionals from Kitchen & Stone from Sunday to Friday between 8 am and 6 pm on 1300 625 179. We are here every step of the way to bring your kitchen to life.